Dainty and feminine, this solid 925 silver heart is hand soldered onto a handmade 925 silver twist ring, then polished for a beautiful finish. Stack or wear alone, just be sure to wear it! You will love it. Comes in sizes 5-10, including half sizes. Please convo me if you want a smaller or larger size. 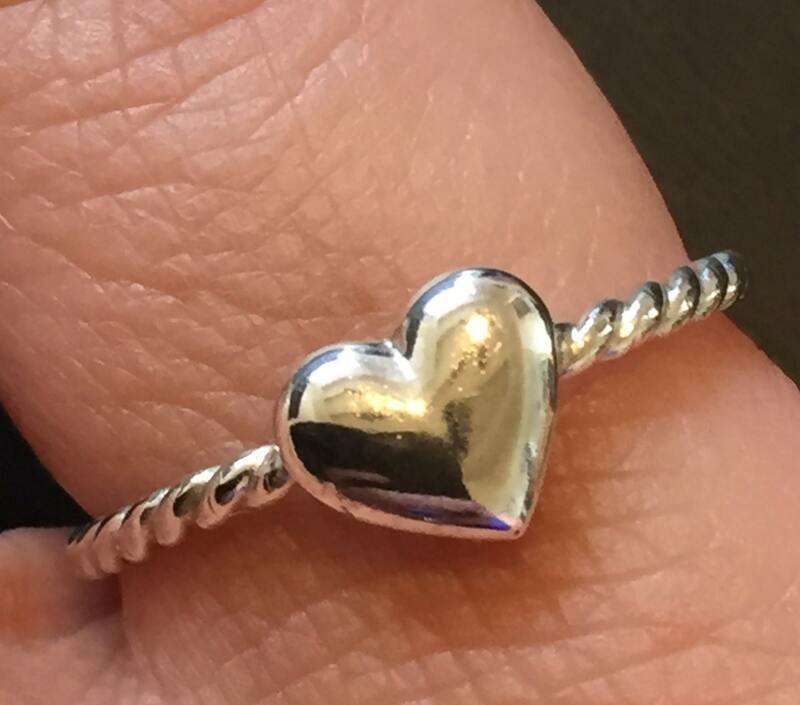 Item is heart ring in photos only. Other rings pictured for combination styling ideas.